Let’s be honest, summer is all we’re thinking about at the moment.☀Those long hours spent tanning, reading a book, relaxing in your garden… Summer is the ultimate time for relaxation. Hopefully you’ll all be taking some time off to chillax. I will be enjoying Switzerland’s mountains in July. I can’t wait to be hiking up the mountains in the sun and enjoying a well deserved ice cream treat once having reached the top. ?In order to easily hike up the mountains and comfortably wear the denim shorts I bought last summer, I need to prep my summer body. A summer body isn’t made in a day and thus requires quite some time and effort! This is why having a go-to summer body workout is always useful. I want every Fit Girl to enjoy their summer, so I thought to share some of my workout exercises. These include core, upper-body, and lower-body workouts. This is a total-body workout that is perfect to get you started on your summer body!? These 3 core exercises are shown done in the gym, however you can easily do them at home as well. For the first exercise, if you want to do it at home, simply lie down on the ground and do the exercise as a crunch. Pull your legs together, towards your belly. The second exercise stays the same. The third exercise is also simply done on the ground by lifting your legs up, and back down again. If you are looking to do these exercises at home follow these suggestions. For exercise 1: push ups, push ups will train the same part of the body, simply in a different way. Exercise 2: grab a weight and follow the same posture instructions. Finally, exercise 3: grab a weight and push it up above your head an back down to your side, like shown in the picture. This is a small home workout that I like to do when #legday comes around. The number of reps I do is 30 and then 3 or 4 sets. Try to increase the number of reps over the weeks in order to keep toning your body. Increasing the intensity of your exercise is important as your body will get used to the intensity of a workout if you do it often and thus you won’t make much more progress. Your summer body goal is easily attainable if you make sure to eat healthily and in a balanced way, as well as workout about 3 times per week (as a minimum). 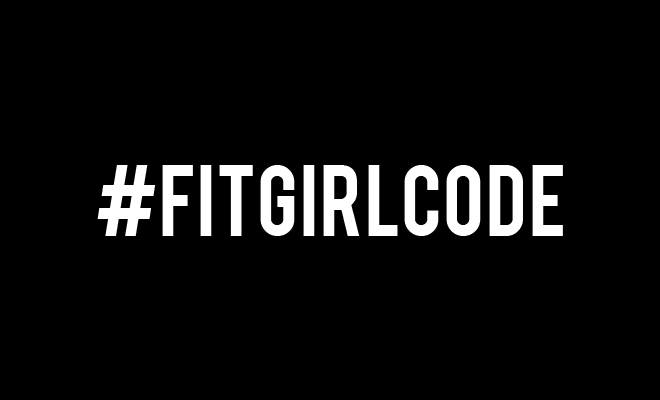 I am in week 4 of the Fitgirlcode Guide right now and will be writing about my own summer body progress when I will have completed the 4th week. I’ll finally be half way through the 8-week Guide.? Glad you like it! ?